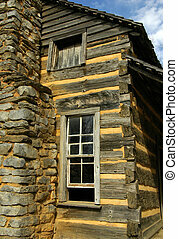 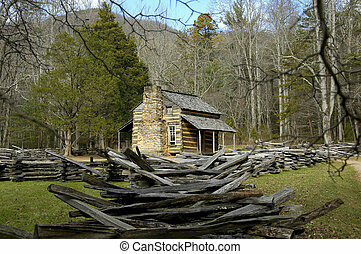 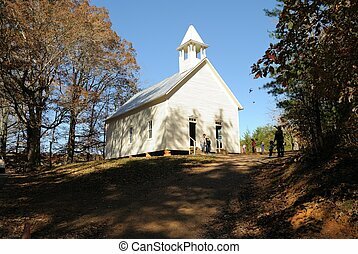 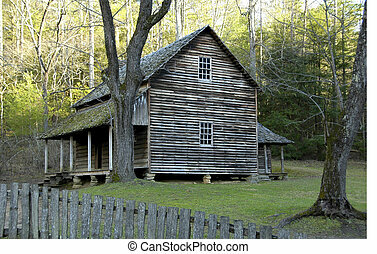 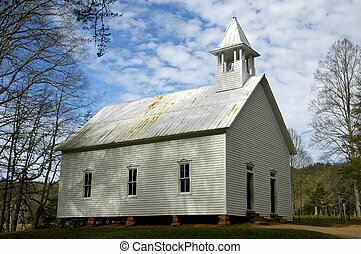 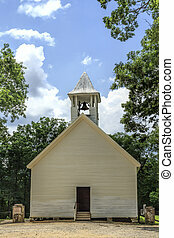 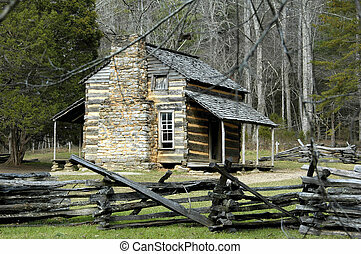 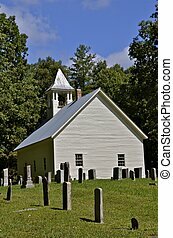 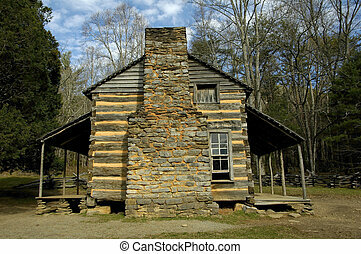 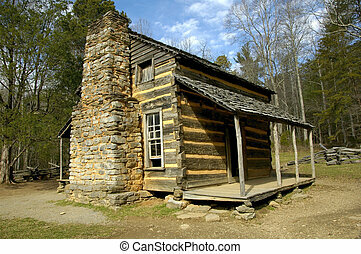 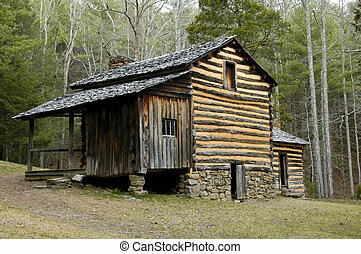 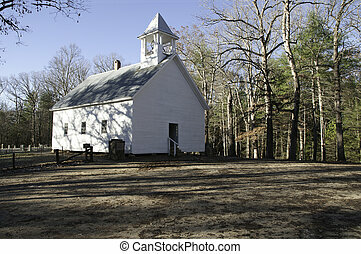 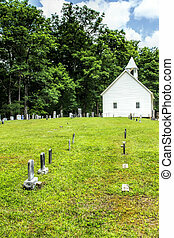 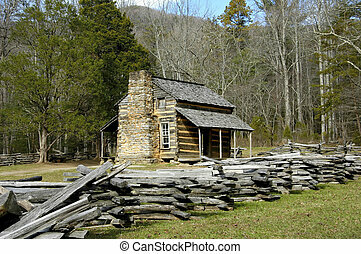 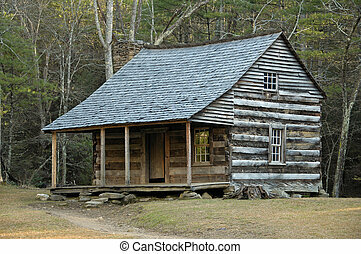 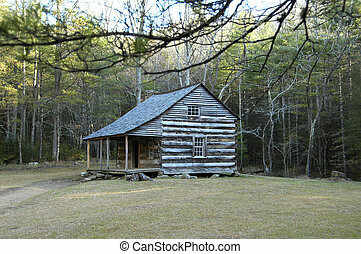 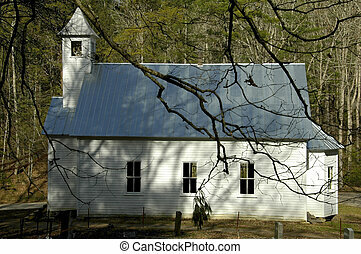 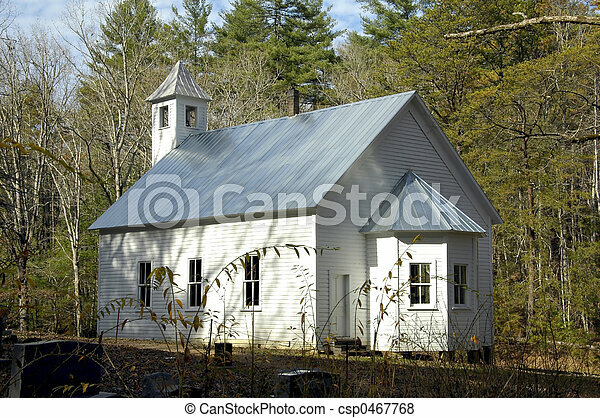 Cades cove - church. 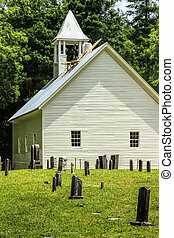 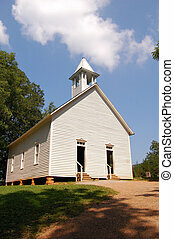 Cades cove - missionary baptist church. 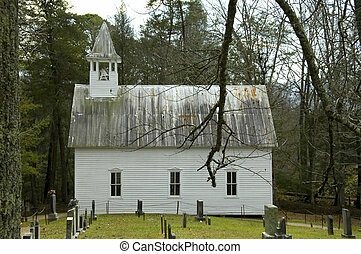 Primitive Methodist Church Cades cove. 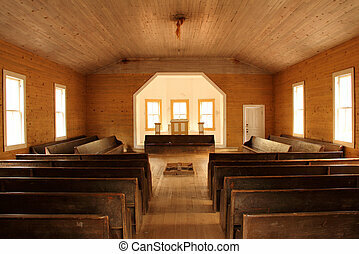 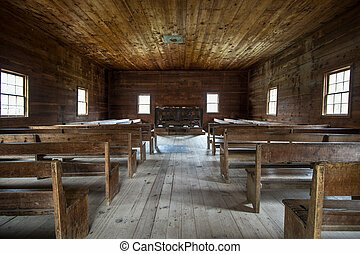 Interior of the historical Cades Cove Primitive Baptist Church in the Great Smoky Mountains National Park. 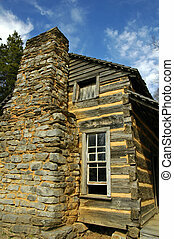 This is a historical display open to the public in a national park, it is not a privately owned property.